What Does Hypoallergenic Mean Regarding Dogs? For many people, the lure of owning a dog is kept at bay only because they suffer unpleasant allergic reactions when near a cuddly canine. Hypoallergenic dog breeds are supposedly safe for allergy sufferers, and allow them the pleasure of puppy parenthood. Allergies occur when your immune system goes into hyperactive overdrive over something harmless. Dog allergies focus on a protein found in the pooch's saliva and skin cells, which is found in abundant supply in the animal's dander. This dander, usually in the form of shed skin flakes, sticks to the dog's hair. When the pup shakes, it sends loose, dead hair afloat. It's this floating allergen delivery system that sends you into a mess of sneezing, watery eyes and itching. Hypoallergenic dogs are the answer to dog-wanting allergy sufferers everywhere. These breeds are low-shedding, which lessens the amount of hair tossed into the environment to aggravate your allergies. They also tend to produce less dander, which is what your immune system goes into red alert over. Breeds such as poodles, Maltese and bichon frise don't lose the amount of hair other breeds such as the collie do, which can greatly reduce your allergy reactions. ​The old adage “If it's too good to be true, it usually is” appears often when discussing hypoallergenic dogs, as some organizations think the whole notion of a non-allergy-causing dog is bogus. According to "Time" magazine, the Henry Ford Hospital released a study in 2011 that essentially found no real difference between the amount of allergens produced by so-called hypoallergenic dogs and regular run-of-the-mill pooches. The study showed no reduction in allergens to support the claim that these breeds were safer for those who suffered from allergies than any other breed. Although some organizations and researchers poo-poo the idea of a dog safe for allergies, many allergy sufferers have successfully achieved dog ownership by seeking out one of these hypoallergenic breeds. Each individual dog -- and allergy-suffering potential owner -- is different, so spend some time with your chosen breed before taking the plunge. Your allergies may still go haywire with a poodle, but offer nary a sniffle with a bichon frise. Do your research, find a reputable breeder and take your time in your decision. 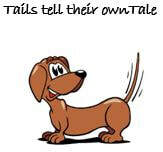 We all know that a wagging tail means a friendly dog, however did you know that if your dogs wags more to the right than the left, it may be telling you something? Can neutering really make a big difference in behaviour? For some people, the hair can be a lot more than annoying, it can trigger a serious allergy attack or aggravate asthma symptoms.